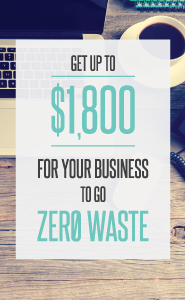 The Universal Recycling Ordinance's (URO) organic diversion requirements support Austin's Zero Waste goal by ensuring that employees of food permitted businesses have convenient access to landfill diversion methods for organic materials (e.g. food scraps or soiled paper products). The URO intends to increase the life of local landfills, reduce harmful environmental impacts, encourage economic development and support the Environmental Protection Agency's (EPA) food recovery hierarchy. Ensure employees have convenient access to methods of keeping food scraps and other organic material out of landfills. 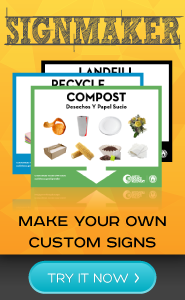 Post informational, bilingual signs on or near organics diversion stations or containers. Provide annual, bilingual education on organics diversion to employees. Education may be provided at team meetings or by e-mail. The person responsible for the organics diversion will need to fill out an Annual Organic Diversion Plan, beginning October 1 at: austintexas.gov/odp. This plan is a report of how a business meets the ordinance requirements. Having access to service receipts is beneficial when filling out this online form. Donate extra food to food banks, soup kitchens, or shelters. Donate food scraps to feed animals at regional or community ranches. Compost on-site or contract with a private service provider to collect organics. Develop innovative solutions, customized to your business, which diverts organic material from landfills. A: Composting is a natural process that breaks down organic materials into a dark, earthy, soil-like material that can add nutrients to soil, conserve water and help plants grow. Q: Are there penalties for non-compliance? A: Yes, responsible parties may receive citations from Austin Code Department between $100 to $2,000 per day per deficiency. A: Free site specific information, guidance, and training is available as part of Austin Resource Recovery's Business Outreach services to help establish or expand your recycling and diversion programs at commercialrecycling@austintexas.gov or 512-974-9727.